YouTube is the world’s second largest search engine, right after Google. The platform is being used by over 1 billion users each year. That’s a huge audience, and there’s a fierce competition out there to attract its attention. There are many reasons to create and grow YouTube channels: generating income via ads or product placements, building up consumer audience around a product or a brand, or simply for fun. 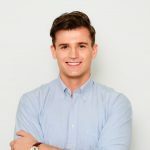 In any case, if you or your company have taken upon yourselves to create a YouTube channel—it’s a big step which needs some good strategy and preparation. If you are an individual YouTuber, you must be the Jack of all trades. And if you’re a marketing or PR professional developing a YT channel on behalf of a brand—well, do not expect much support either! Be prepared to tackle the basic optimizations yourself. In this article, we will show you how. Once you’ve got the right content and you optimized it with smart meta tags and descriptions, the third and most vital step is to make it look exceptionally great. Your YouTube channel graphics can’t be just fine; they must stand out amongst others with sharp, clear, and consistent colors and elements across the whole channel. Amazing icons and channel art are one thing all the best YT channels have in common. Optimizing them is one of the easiest and fastest things you can do, and yet it’s a cornerstone of your channel’s success. Channel icon is the logotype of your channel. It’s the symbol that makes your channel easily recognizable to your subscribers or viewers and triggers an immediate reaction and grabs the attention of first-time visitors. By default, your channel icon is the image associated with your Google Account. 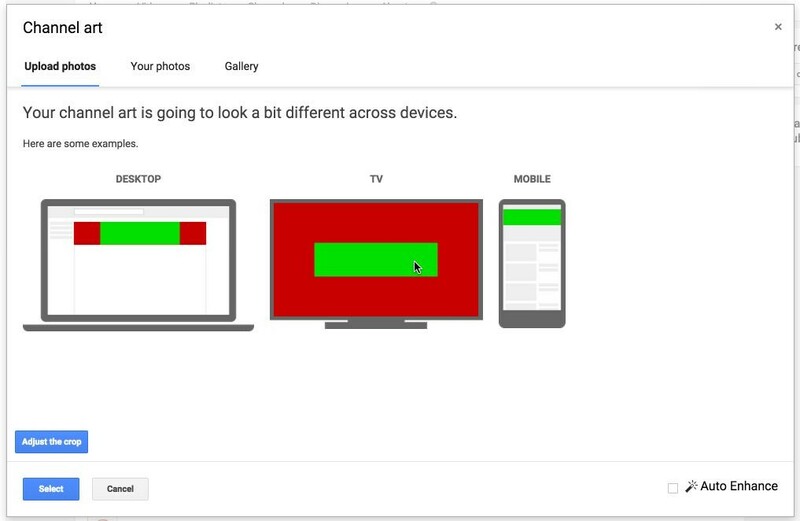 You can easily change the image to a custom one by going to your Google Account settings. Great channel icons are bright, memorable, and reflect the channel’s main theme and mood. The Tin Can Brothers is a YouTube comedy channel of three friends: Brian Rosenthal, Joey Richter, and Corey Lubowich. Their videos are filled with some funny parodies of famous Internet celebrities. And they all have and love mustaches! Their channel icon reflects that in a playful and memorable way. Hint: The recommended dimensions for YouTube channel icons are 800 x 800 pixels. If the logo makes your channel stand out, channel art makes it attractive and builds up your subscriber count. Landing on your channel, the visitors can say a lot about it just by the look of the art it contains—how creative the content creator is and how much he or she cares. Channel art shouldn’t be too elaborate though. It must be a clean image that displays to other users what the channel is all about—its mood and themes—and provides some relevant information, if necessary. Consider adding your hashtag, slogan, or logo to the cover image. A great idea would also be to add a message on the channel art, prompting viewers to subscribe. Make sure it matches well with the colors of the channel icon and video thumbnails. The tricky thing about YouTube channel art is that its visible part varies depending on the platform: desktop, mobile, or TV. The recommended size for an image is 2560 x 1440 pixels, but the safe zone visible across all devices is 1540 x 427 pixels in the center. It’s best to use graphic design tools which provide both canvas size templates and some powerful tools allowing you to get the right size and then customize your art image. Thumbnails serve as mini-marketing posters for your YouTube videos and are critical for triggering views and engagement. The time spent on YouTube is valuable, and each user is judging whether a video is worth watching by its thumbnail. The goal is to make them look awesome. Start thinking about the thumbnail even before shooting the video. Have some proper lighting, frame the shot well, and capture good imagery that makes the video compelling. Consider shooting photos while filming your videos to capture images for thumbnails. Use some graphic editing software to resize, modify, or combine images together in the frame. Make sure the size of the image is appropriate. Make sure the thumbnails are visible and readable on the YouTube videos. 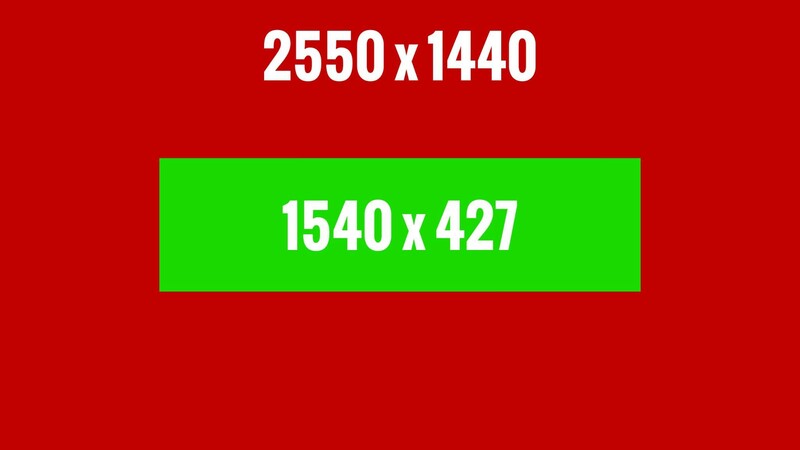 Even though they may be great when looking at the full-screen versions, smaller they may seem not clear. 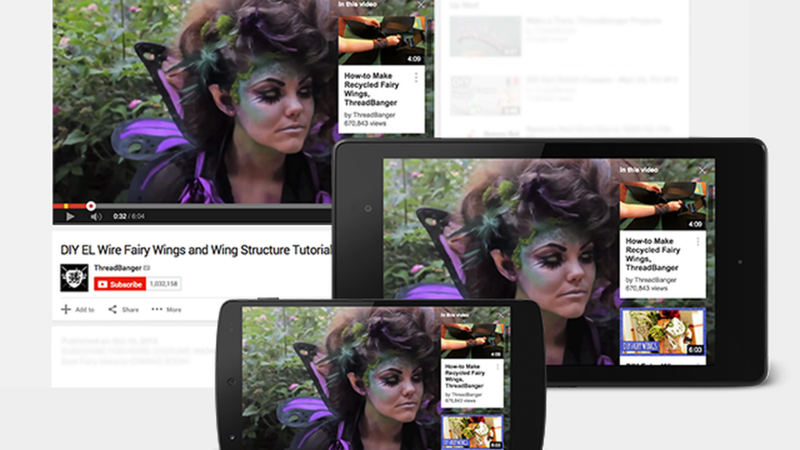 YouTube cards are one of the latest YT’s implementations designed specifically for the maximum engagement of users. While previously YouTube creators did put the links to their e-commerce stores or websites in the annoying and ugly annotations, now you can use pretty and visually optimized cards for that. Just optimize them yourself, of course, to make them useful. Showcase the product—users will only click if something that you are promoting looks good and compelling. Choose the right moment—the best time to show the cards on your videos is in the middle of the video. Then the viewer has enough time to get engaged and consider clicking on the card. Use bright colors—certain colors like purple or red provoke an immediate positive reaction towards the cards. Vectr is a free cross-platform vector graphics software. The advantages of Vectr are that it offers pre-made canvas size templates for YouTube in particular, and has all the necessary features letting you customize your designs. And it’s completely free. You can also share unique URLs with your friends or fans and quickly get their feedback. Canva is a famous and multifunctional tool which lets you use many of its templates and ready-made designs to create graphic pieces. It also does feature a marketplace. Canva’s basic version is free, and the premium version is $9.95 per month. PicMonkey is another graphic design tool with a user-friendly interface that allows you to use ready canvas size templates, including some special ones for YouTube. With PicMonkey, you can edit your photos and graphics as well as give them some cool effects. Optimizing the YouTube icon, channel art, and video thumbnails is so vital and strategic that once you do it right, you’re going to see the results immediately. The graphics features mentioned above will help you form the whole visual identity of your YouTube channel, making it attractive for the viewers and prompting them to subscribe for future updates. The relevant metrics you can follow in YouTube Analytics are the watch time and engagement: which videos are getting the most traffic, how many subscribers are you getting versus views? Based on these metrics, you can quickly identify which areas require improvement, whether your thumbnails are or aren’t perfect, or whether your channel art needs a call-to-action to boost the subscriber count.